Note: I omitted the tomatoes because my son ( who was in charge of this recipe) refused to eat tomatoes. I added bell pepper in it instead. I think next time some small diced cucumber would be another great add in. 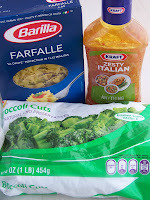 Cook pasta as directed by package in well salted water. 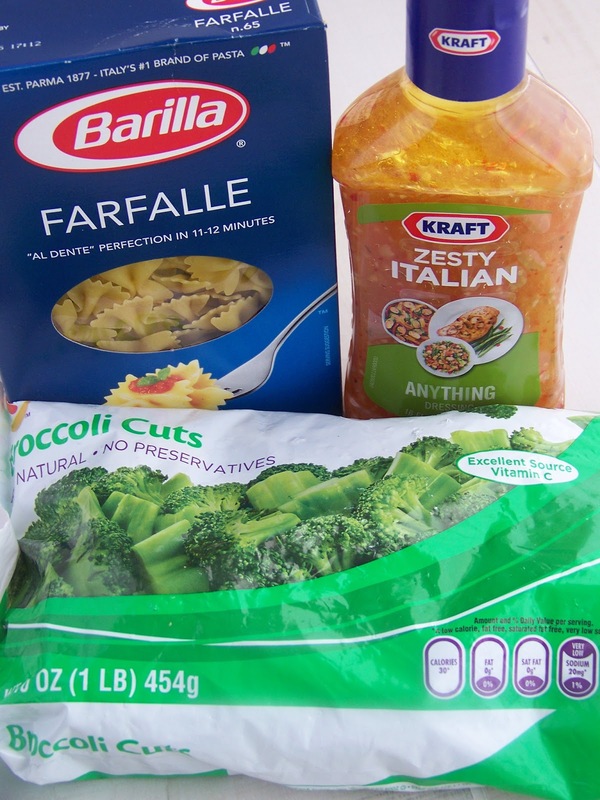 You can either microwave frozen broccoli or cook it in the last few minutes of the pasta to heat through (That's what I did.). 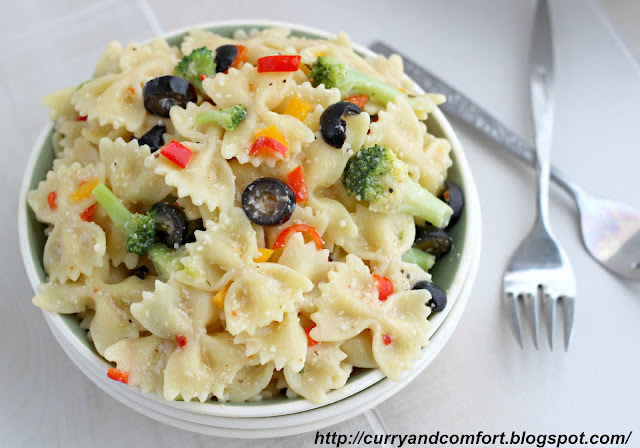 Drain pasta and mix with all other ingredients. Chill for at least 1 hour before serving. Enjoy. I used to read the mini pages as a kid, I forgot all about them!! 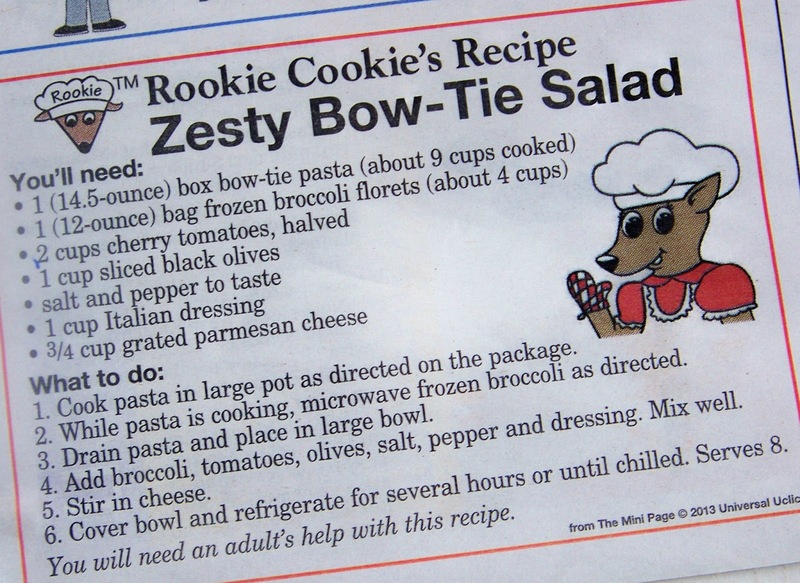 I prefer the zestier pasta salads over the mayo based ones. Glad you got to cook with your son & hope you had a wonderful Mother's Day!! I want to come over and eat next time your son cooks! That looks like a delicious pasta salad. Kudos to both of you. Happy Mother's Day! Pasta salads mean summer time. 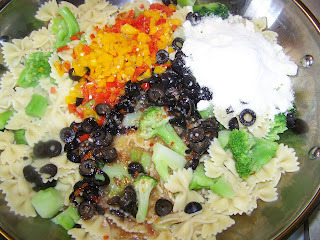 Love the dressing you used, so much better than the heavy mayo based ones. Happy Belated Mother's Day Ramona! I think it's awesome that you are teaching your kids to cook and those moments in the kitchen will be wonderful memories for them as they grow older. 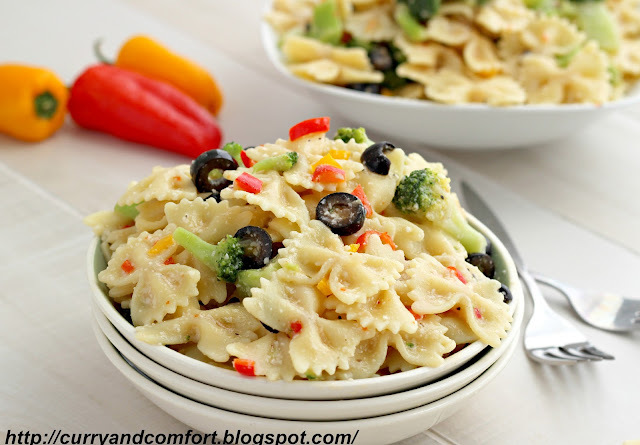 :D Not to mention they get to enjoy this pasta salad for years to come heehee. I love recipes like this. Hope you had an amazing Mother's Day Ramona. Another chef in the family, how cool is that? Hope your Mother's Day was great. Love it that your son saw it in the paper and asked to make it. And how sweet that you made it together. What a great way to celebrate being a mother! It looks delicious! 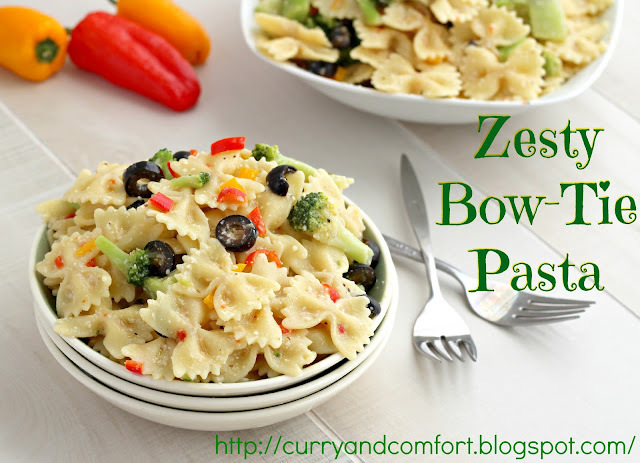 Thanks for providing such type of nice recipe abou zesty bow tie pasta salad. I hope we will get more new dishes to learn in the future. Yummy recipe, thanks for the sharing,dell bios update . I am glad to gain this remarkable information from you, and I am certain that this content might be beneficial for most of the seekers. Continue sharing your thoughts and keep us updated. Thanks for sharing this information. I m very pleased to read this post. If you have any issue regarding Laptop Antivirus Support, we are here to provide best service of Laptop Antivirus Support. just call on +44 800 048 8653 number. Great Job.Thanks for sharing an article.